This phone is a complete disappointment in itself. Hangs whenever it wants and half of the time I have to submit it for repair. Heats when playing games or charging. But the build is good and a nice quick fingerprint sensor. 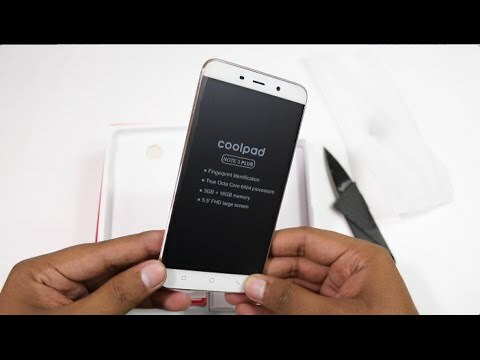 1 Pricebaba user have written their experience with Coolpad Note 3 Plus. If you own Coolpad Note 3 Plus, please do leave your feedback too. Lowest price of Coolpad Note 3 Plus price in India starts at Rs. 9,499 Coolpad Note 3 Plus is available on Amazon at Rs. 9,499. Prices updated on 24th April 2019. Coolpad Note 3 Plus sports the same MediaTek Mt6753 Octa Core chipset clocked at 1.3GHz combined with 3GB of RAM. The processor might struggle with heavy tasks but the ample 3GB of RAM should be sufficient enough to handle multitasking well. The device also sports the same fingerprint sensor. The operating system of the device is based on Android 5.1 Lollipop out of the box, which is slight of a disappointment as the it has been almost a year since the latest Android Marshmallow launched. Running on top of Android 5.1 Lollipop is Coolpad's Cool UI which some additional features like themes, icon packs and also a feature that lets you lock every app installed with a fingerprint sensor. On the rear lies a 13MP sensor that can record videos up to 1080p, whereas on the front is a 5MP camera for video calling and selfies. There is also an LED Flash on the rear of the devive that provides ample light while taking low light shots. To store all the data you get 16GB of internal storage which can be expanded up 64GB more via a MicroSD card. Powering the device is a decent 3000mAh non-removable battery that should easily last through the day. The phone accepts Dual SIMs and supports 4G LTE connectivity.